Tennis experience: Michael started his coaching career in 1994, as an assistant coach for his old University team in the USA. Between 1995 and 2012 he worked as teaching and high performance coach in Luxembourg. Coached over 25 national champions. He was also working for the Tennis Federation 2003-2008, where he was national and traveling coach for 14 and under and WTA level ladies. He has worked with numerous players at Fed cup level (ladies) and boys later reaching Davis cup level. Since 2013 Michael is the Head coach at OTK. Education: Master’s degree in International Business (Centro universitario de Villanueva, Madrid), Master’s degree in Digital Marketing (In progress, EUDE, European Business School). Certificates: USPTA Elite professional, RPT Director of Tennis, ICI Director of tennis, APEspana Professional, Marketing Tactico. Constantly educating himself in various tennis conferences and workshops every year. Tennis Experience: Since early 2000’s participating in USTA (United States Tennis Association). Jan started to coach in North Carolina and South Florida in 2004, getting certified by USNTA in 2005. In 2008 he worked as a private coach in Lima, Peru. In 2009 he took a job as an assistant tennis director in Dectra Tennis academy in Valencia, Spain, where he was working with high-performance juniors, running camps and travelling with the players. In OAM Godella tennis school he was working with players of all levels and ages. Jan has been working in OTK since 2013. Hobbies Travelling, sports in general. Tennis experience: Filip started playing tennis at 6 years old in Belgrade, Serbia. Moved to Norway when he was 15 years old. 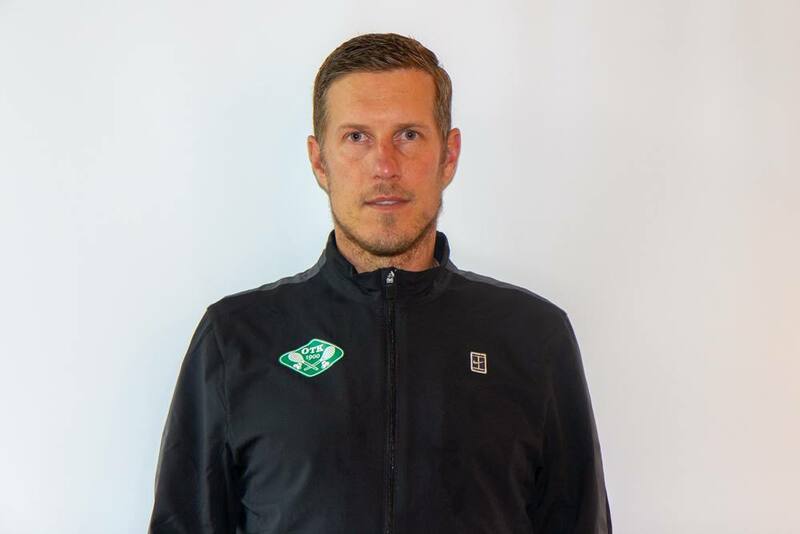 He has started coaching career in Ålesund tennis club as an assistant coach in 2010. 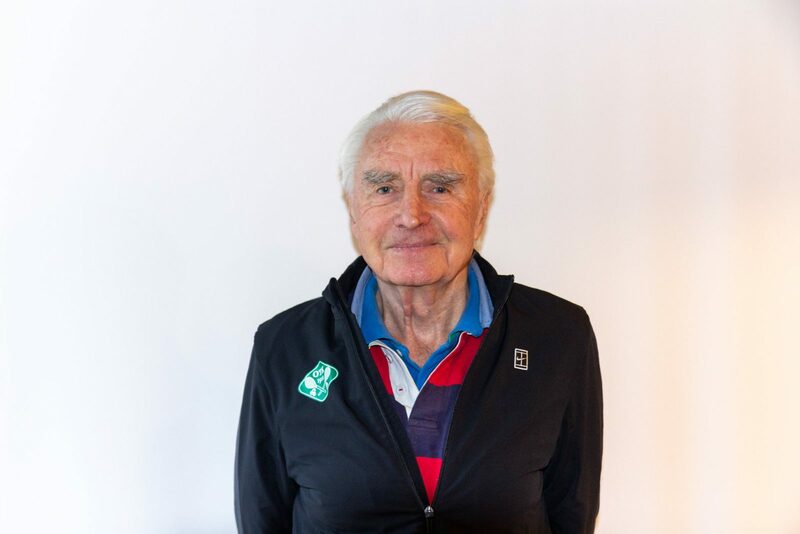 After working for some time in Ålesund, he moved to Oslo and continued working in several clubs such as Nesøya tennis club, Bygdø tennis club, Furuset tennis club and Soon tennis club. He has been working with all levels and ages (red, orange, green, children, adults). 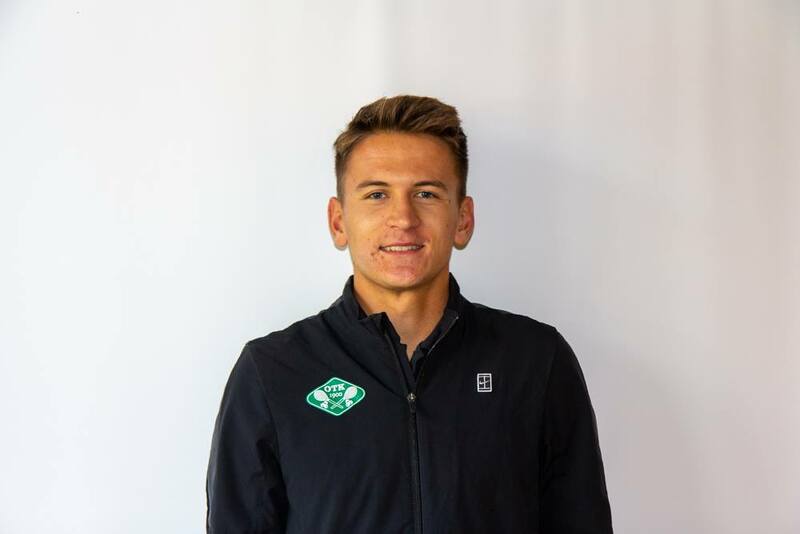 Since 2016 Filip has been working at Oslo tennis club. Hobbies: Other sports activities, music, outdoor. Education: Master of Science in Business and Economics, with a major in Business Law, Tax and Accounting (Handelshøyskolen BI). Working in full time in Handelsbanken . Certificates: Activity leader tennis, “Trener 1 Kurs” with the Swedish Federation. Tennis experience: Hans Jacob was among the best players in his age group as ajunior. Academy player at ISP tennis academy in Nice, France. He tried to become a professional tennis player/ academy player, but he suffered from a long list of injuries. He has been coaching since 2005. At Njård tennis club (from 2005-2012) and at OTK from 2012 until today. Hobbies Weightlifting, Road bike, Cross-country skiing. Utdanning: Filologisk embedseksamen med Samfunnsfag (historie) som hovedfag. I tillegg engelsk, religion, pedagogikk mellomfag og praktisk pedagogisk seminar. Tenniserfaring: Bidro til utviklingen av P.T.R. (USPTR), (verdens største internasjonale tennistrener-organisasjon) fra slutten av 70-årene. Hadde fra 1975 i flere år tennisfaglig hovedansvar for trenerutdanningen i Norges tennisforbund på alle nivåer, skrev flere trenerkompendier og holdt en rekke foredrag på trenerseminarer i Europa og USA. Hobbyer: Å bidra til lagbygging i spiller- og trenerutviklingen, med sikte på å utvikle et godt sosialt miljø men også med muligheter for individuell, sportslig utvikling. Utdanning: 6. års medisinstudent ved UiO. Andre utdanninger: Ett år italiensk ved UiO, ett år fitness ved NIH og to år økonomi og administrasjon ved Handelshøyskolen BI. Tennis erfaring: Begynte å spille tennis på OTK i 7 års alder og har spilt aktivt tennis i 22 år nå. Spilt konkurransetennis og divisjonstennis i over 18 år. Spiller aktivt divisjonstennis idag og er kaptein for OTKs 2. Lag. Jobbet som tennistrener ved OTK siden 2015. Har trent barn og voksne i alle aldre og nivåer. Hobbyer: Tennis, generell trening, andre idretter, reising, teater, musikk, arkitektur, kultur, fiolin, teaterskole, hockey, alpint. Education: Bachelor of Arts in English & German Language Studies, 2006 University of Jordan. International Baccalaureate, Making the PYP Happen in the Classroom, University of Wisconsin Stout Professional Development in Early Childhood. ITF Coaching Beginner & Intermediate Players Course (Level 1). 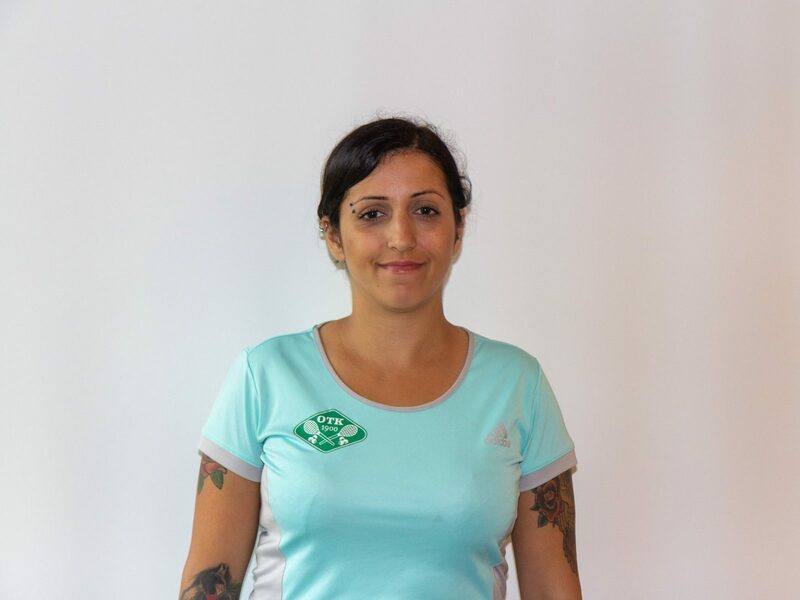 Tennis experience: Leila played club tennis for 5 years in Serbia and represented Jordan Tennis Federation (JTF) for 8 years in tournaments at national and international level with participation at the 2000 Fed Cup in Japan. She worked as an extra-curricular Tennis Coach at International Community School, where she instructed beginners aged 7-10. She also participated in coaching children’s groups at summer camps which was part of her duties for Jordanian Tennis Federation. Leila has been working for OTK since September 2017. She is specialised in groups up to the age of 12. Education: Bachelor of Physical Education and Sport (Tennis and Athletic specialization), 2018 Charles University, Prague. Personal fitness trainer for individuals and Sports clubs (Tennis specialization), Compensation in Sport, Czech tennis license grade III., Slovak tennis license grade II. 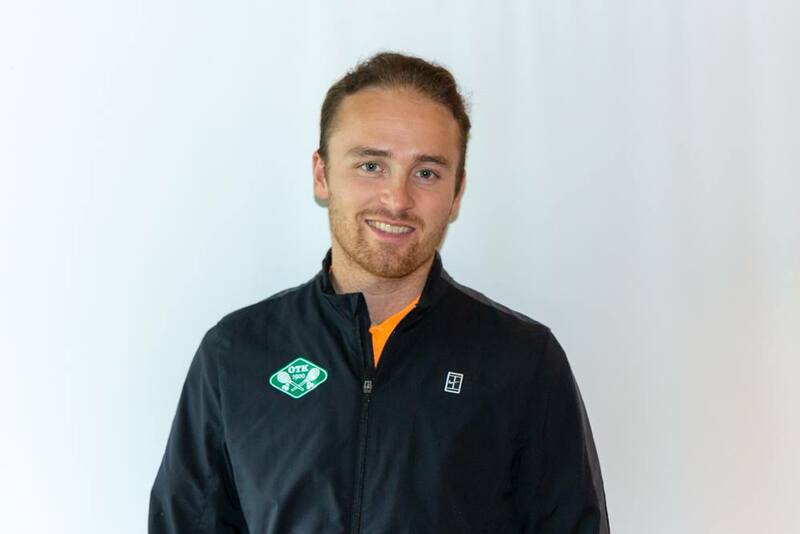 Tennis experience: Jakub started his coaching career in 2010 as an assistant coach for his club in Trencin, Slovakia. He had been working with kids up to the age of 10. He is cooperating with AS Trencin tennis club till now, as an organizer of children summer camps. Between 2016 and 2018 he had been working as a tennis coach in RS Sportcentrum Prague. During this time he was also working with several tennis players and swimmers as a fitness coach. In 2016 he was working few months in Oslo Tennisklubb as a part-time coach, during his exchange semester in Norwegian School of Sports Science. 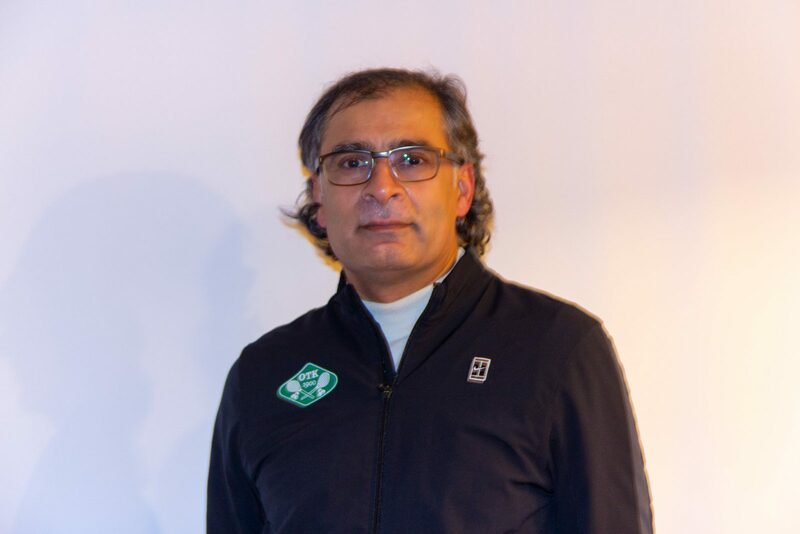 In 2018 he was the co-founder of the project Fitness Instructional Tenis, which is running in OTK right now. 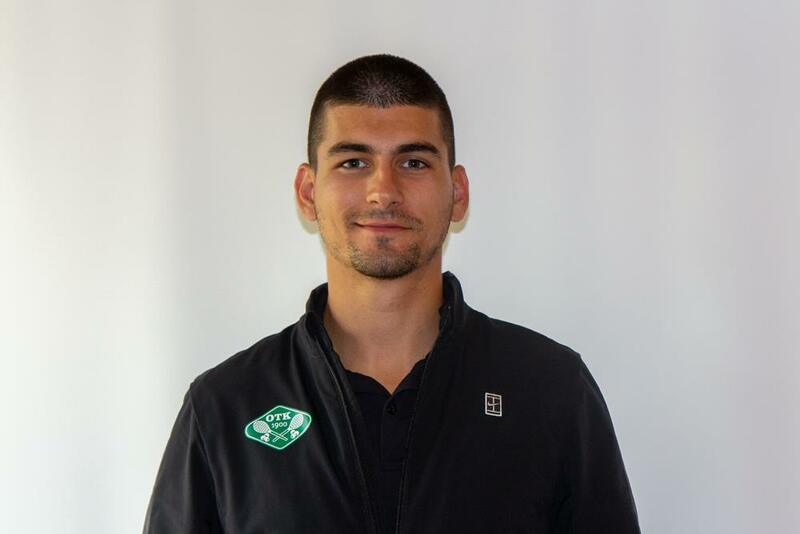 Jakub started working in OTK in August 2018. Education: Bachelor’s degree in Market Investigation and Marketing Techniques, Universitat Autonoma de Barcelona. Bachelor’s degree in Economic Sciences, Universitat Autonoma de Barcelona. Coach ITF Level 2. courses promoted by Catalan Tennis Federation and Norwegian Tennis Federation. 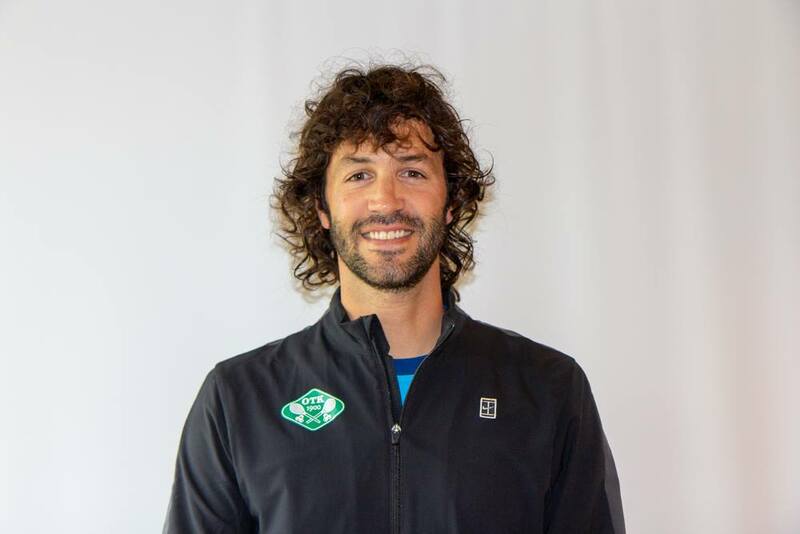 Tennis experience: Marc started coaching at the age of 16. He was coaching in many tennis clubs and tennis academies in Barcelona, Spain. He was the head coach in 2 tennis clubs in Barcelona. In 2013 he arrived in Oslo to work with one player under 12 and to work for Bygdøy Tennisklubb. In 2014-15 he was the coach of Tiago Caçao, top 150 in the ITF ranking. He was travelling with him around the world in the ITF junior tour. 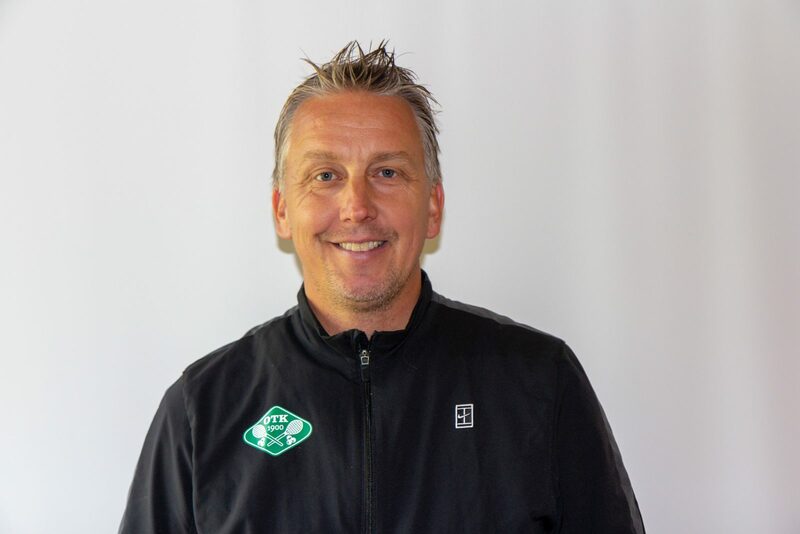 From 2015 to 2018 worked at Njård as a coach for kids U12, U14, and U16. 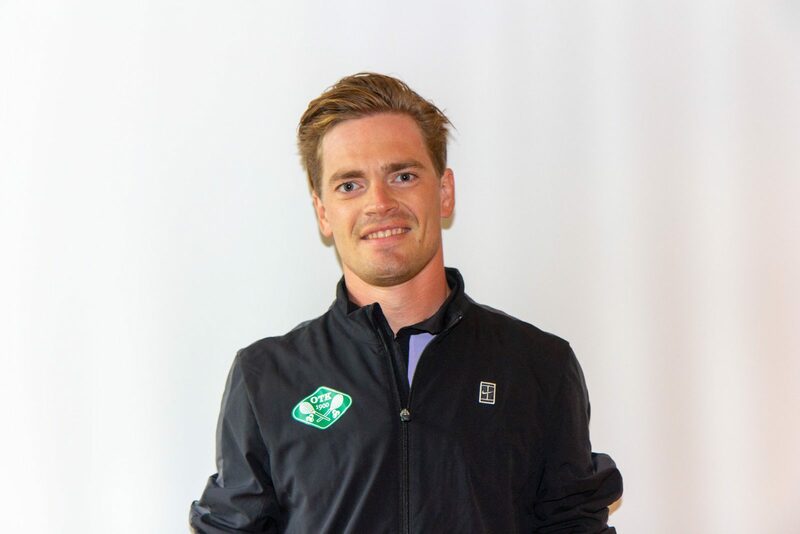 He started working at Oslo Tennisklubb in August 2018. Hobbies: Live music, playing percussion instruments and travelling. Education: Moffe was born in QDS, Pakistan and came to Norway at the age of 13. Schooling in Oslo, junior high, High School and the University of Oslo. He’s got a degree in Economics and Political Science. Tennis experience: He went to High School in Texas (1989-1990) and started playing tennis for the High School team. He became a member of OTK 2003. Edvard and Per Hegna were his private coaches in the beginning. He played for the third team at OTK and now he is just playing for fun. Hobbies: Gym, football, American football, basketball, cricket and hanging out with friends.